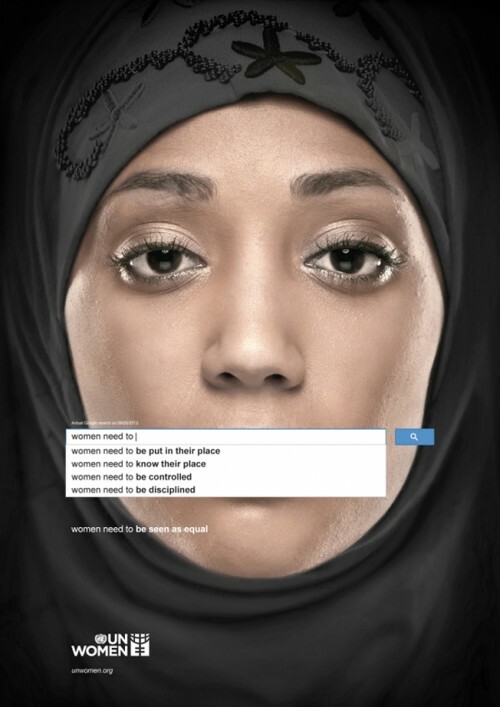 You might have come across the latest UN Women awareness campaign. Originally in print, it has been spreading online for almost two days. 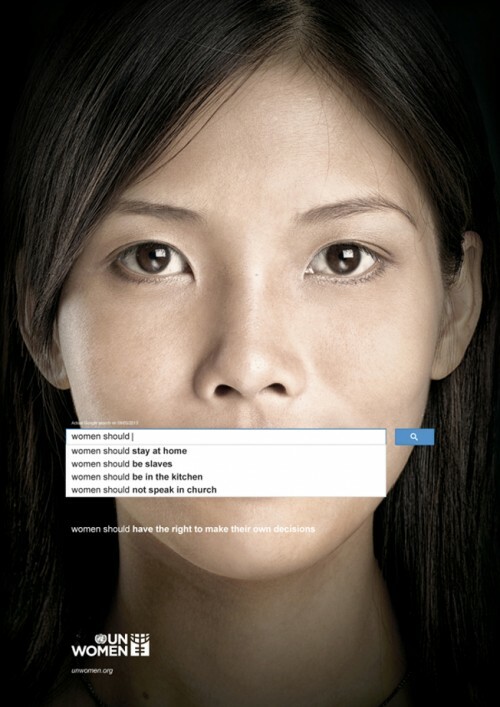 It shows four women, each “silenced” with a screenshot from a particular Google search and its respective suggested autocompletions. Guess what was the most common reaction of people? They headed over to Google in order to check the “veracity” of the screenshots, and test the suggested autocompletions for a search for “Women should …” and other expressions. I have seen this done all around me, on sociology blogs as well as by people I know. In terms of an awareness campaign, this is a great success. And more awareness is a good thing. As the video autofill: a gender study concludes “The first step to solving a problem is recognizing there is one.” However, people’s reactions have reminded me, once again, how little the autocompletion function has been problematized, in general, before the UN Women campaign. Which, then, makes me realize how much of the knowledge related to web search engine research I have acquired these last months I already take for granted… but I disgress. This awareness campaign has been very successful in making people more aware of the sexism in our world Google’s autocomplete function. This entry was posted in Analysis, Ethics and values, Research, Technology and tagged algorithms, autocompletion, Google, UN Women, values on October 22, 2013 by Anna Jobin.